About Us | Icarus Art Drawing Board: Fresh new look at wax based mediums! 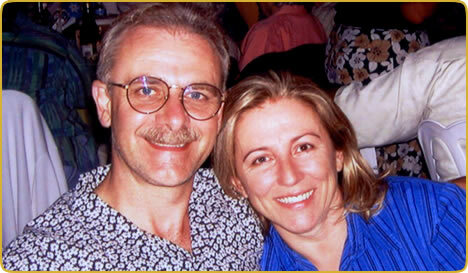 Although they were both born and raised in Italy, Mario Bassi and Ester Roi met in California and have been married over twentyfive years. Ester’s passion for artistic expression and invention found its partner in Mario’s business acumen, and together they developed the Icarus Board. It was while considering names for their new company that the Greek myth of Icarus came to mind. Dedalus, a master craftsman, fashioned a pair of wings made of feathers and held together with wax for himself and his son. Before leaving the island, Daedalus warned Icarus not to fly too close to the sun, explaining that the wax would melt. But overcome by the sublime feeling of flying, Icarus soared through the sky joyfully. As he did, he came too close to the sun. His wings melted and he plunged into the sea that now bears his name, the Icarian Sea off the coast of Crete. In early 2005, when I resolved to take my lifelong passion for art to a professional level, I put my weekend oil paints aside in favor of colored pencils. I was pretty familiar with this medium since I had used it as a child and as a student in college. 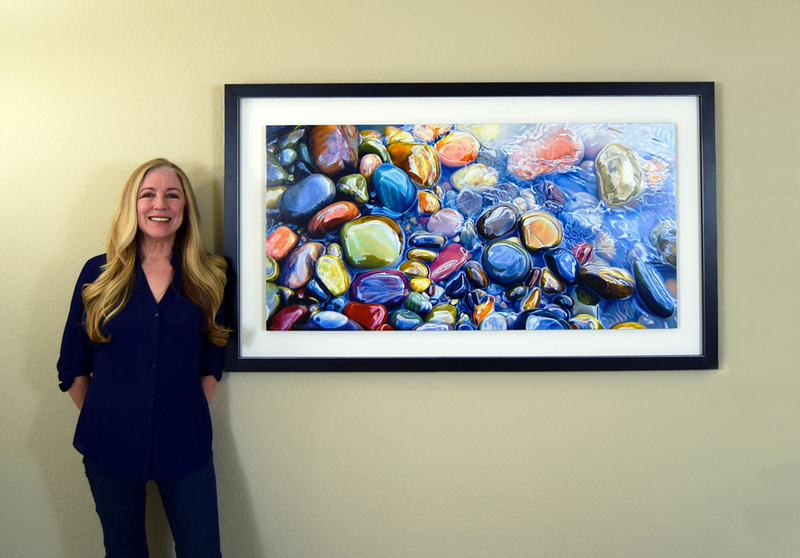 My interest was focused on a technique called "colored pencil painting" which aims to achieve the same level of color saturation and density that is characteristic of acrylic or oil. While searching for methods that would facilitate the blending and burnishing of my wax-based colored pencils, I decided to experiment with heat. I put a metal pan on the stove, turned it upside down, placed a piece of paper on top and began drawing. I soon discovered how remarkable the effect of heat was on my colored pencils and crayons and decided to build a home-made "heated drawing board" from scratch. In spite of the many shortcomings of my first prototype, I persisted and became a true believer in this new technique. Going from a home-made prototype through a patent and trademark application and finally to a commercially viable product was an arduous journey. This would have never been possible without my husband's business knowledge and his personal involvement in our project. As my experience and enthusiasm for the Icarus Boards continues to grow, I have embraced other wax-based media beside colored pencils and as a result my artwork is becoming larger, faster and more painterly. Above all the Icarus Technique has given me freedom. I don't worry about brushes, solvents, premixing, drying time or clean-up. I use very few tools, I mix my colors directly on the surface, I draw or paint with the same medium, I change my mind and rework any parts. Nothing interferes between me and my artwork as I fully engage in the creative process. Water transforms everything it touches: hard lines become soft, warm colors cool, solid shapes break down into parts. Realism evolves into abstraction and the ordinary becomes extraordinary. The interplay between these realms is an endless source of inspiration for me. I choose to create with colored pencils, artist crayons and oil pastels for their directness and simplicity. My process consists of a combination of drawing and painting. I alternate between working on cool and warm paper using the heated drawing board I invented. The heat helps soften or melt the waxy pigments so they can be easily manipulated and blended in a painterly fashion. When finished, the artwork is mounted on a cradled board, varnished, framed and shown without glass. I slowly came to realize how even my technique is a way to explore the relationship between opposing realms. I tirelessly switch from drawing to painting, from hard to soft, from wet to dry. One alone won't satisfy me and having both is now a passion. When I am in the midst of creating I become enchanted by the magic of water. Water represents the world of fantasy and imagination, where anything can happen and the unusual is never questioned. The world above water, ever brilliant, solid, and warm, can be at times rigid or harsh, and needs to be tempered by the softness and coolness below. My endless challenge, as an artist and as a human being, is to find a balance between the two.